Chris says it was the other Nelson at Kettlebility (his wife, Connie) who got him hooked on kettlebells in 2015. As Connie fell down the kettlebell rabbit hole—and eventually started training with Andrea U-Shi Chang at Kettlebility—Chris followed. 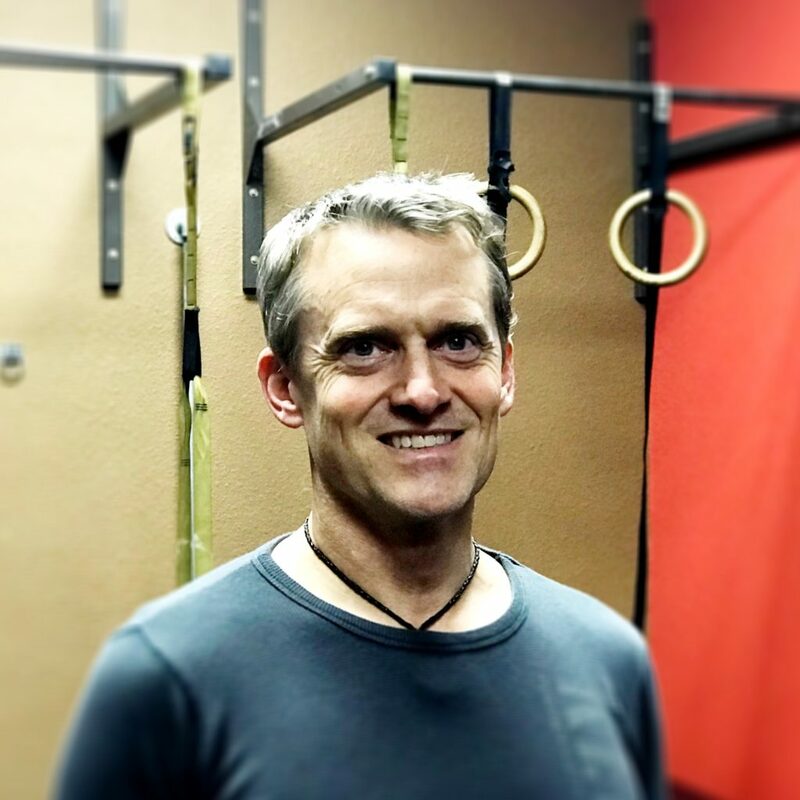 The 53-year-old aerospace engineer enjoys geeking out on the technical aspects of kettlebells. (By day, he creates and uses software to allow computers to model the flow of gases, and sometimes liquids, in and around and through various things, like air over a wing or burning rocket exhaust blowing through a nozzle). But his extensive science background also gives him a technical eye as an instructor. The Malmö, Sweden, native calls his becoming a Kettlebility instructor in 2018 a “happy accident.” Shortly after earning his SFG 1, he subbed for wife, Connie, when she was supposed to teach a boot camp class but wound up sick at the last minute. “I found afterward, quite to my surprise, that I enjoy teaching kettlebells, and I really enjoy watching the progression as people refine their skills and get stronger.” A happy accident, indeed. It varies…right now, I’m really enjoying press variations. There are three that are hard to choose between: when Connie said, “I do”, and then when each of my two daughters was born. Abraham Lincoln. MLK. Leonhard Euler (a Swiss mathematician, physicist, astronomer, logician and engineer who made many influential discoveries in the 1700s). Among other things, I’d like to see both the Northern and Southern Lights.